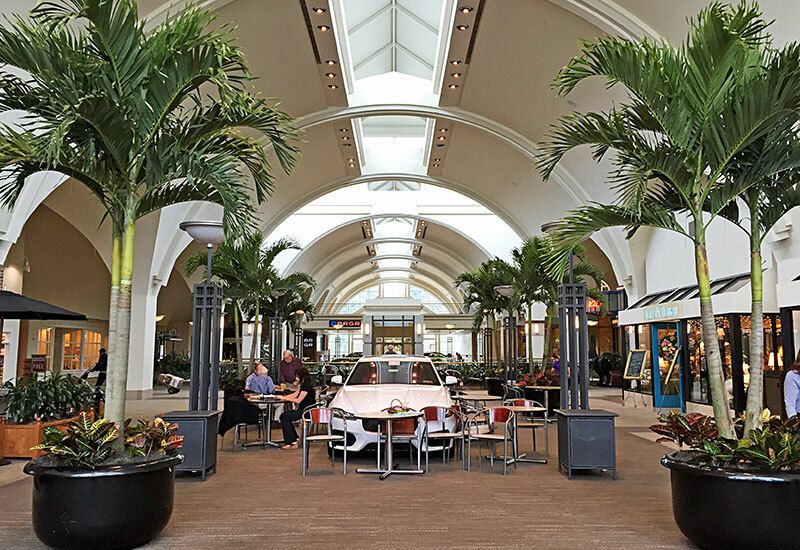 (1/30) Adonidia Palms at the Galleria in Mt. 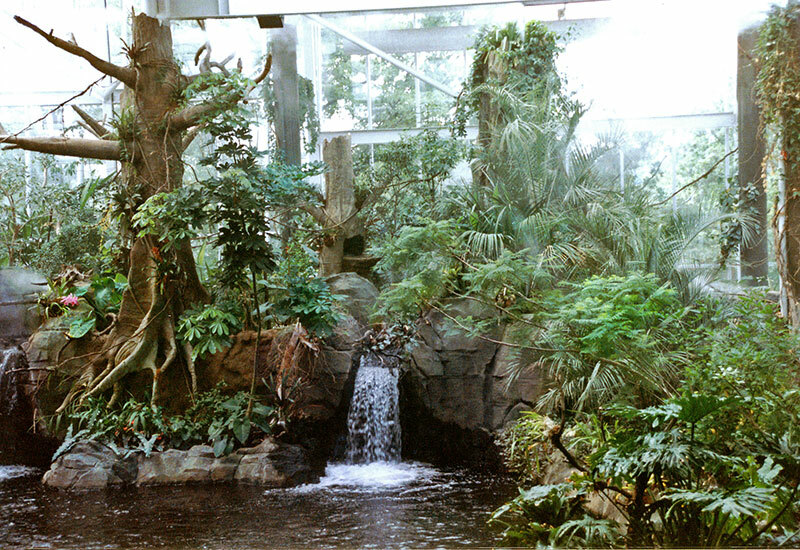 Lebanon. 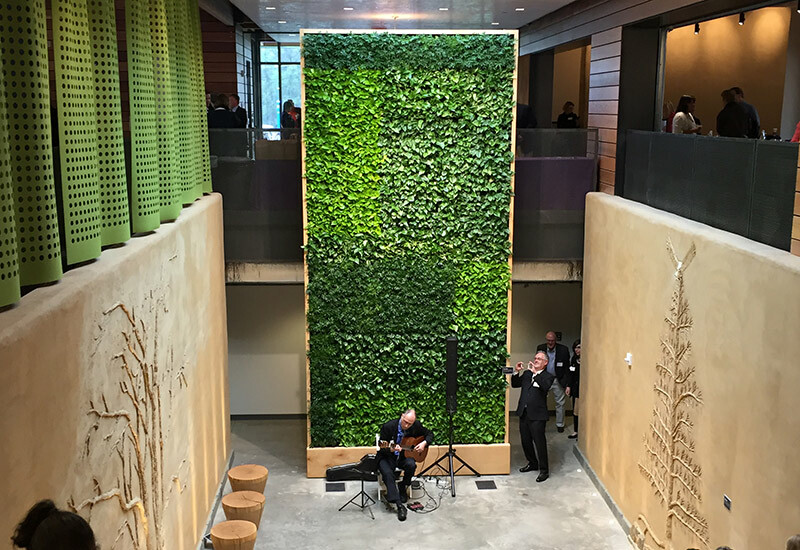 (2/30) The dramatic indoor atrium at Zoll, formerly Mine Safety Appliances. 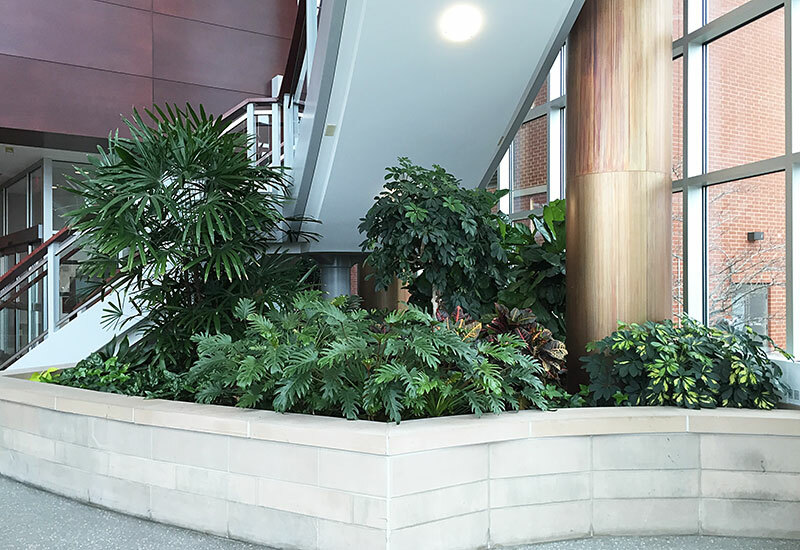 (3/30) Plantings at Beaver Valley Mall. 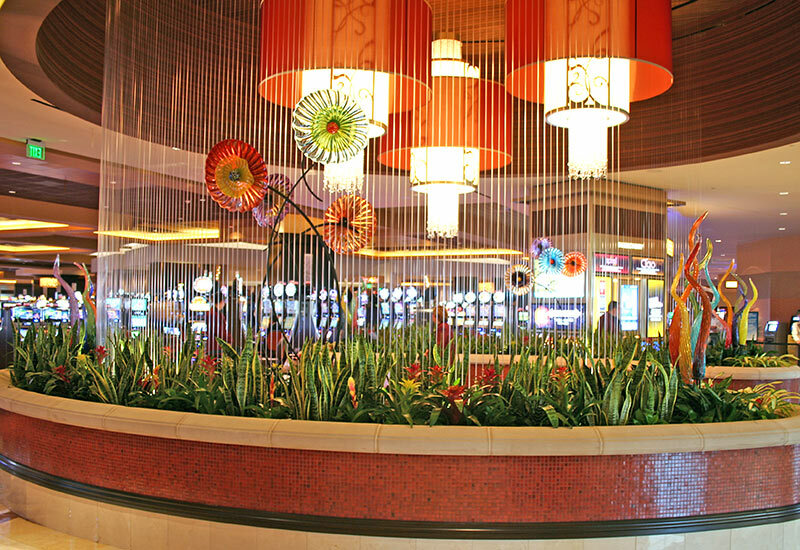 (4/30) Original planter fountains with glass flowers at the Rivers Casino opening, 2009. 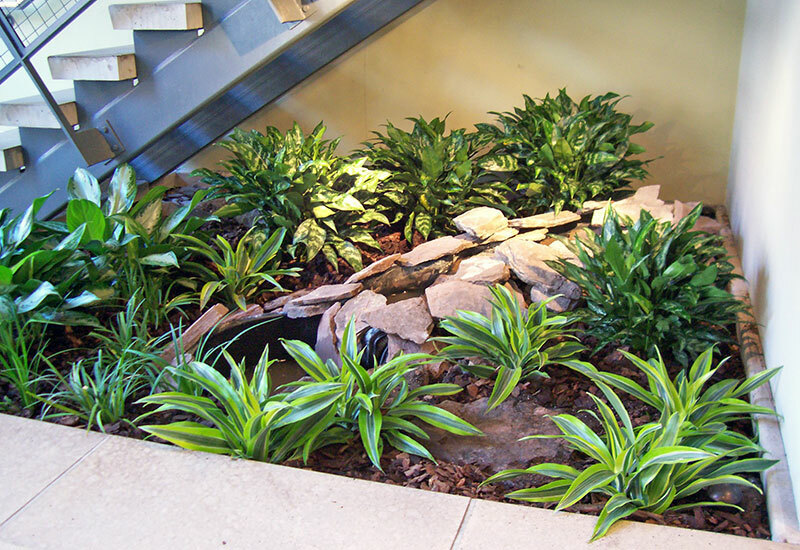 (5/30) Simple but lovely planting under a staircase with rocks and water feature. 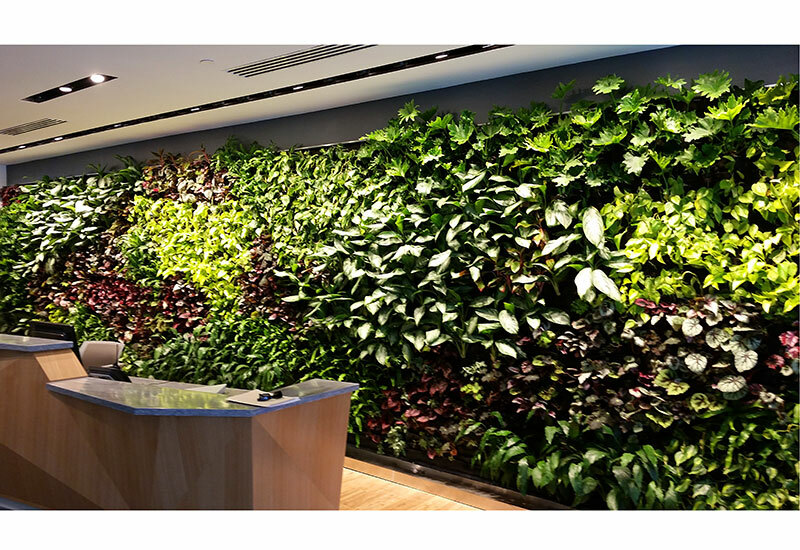 (6/30) Plantscape maintains this large green wall at Bakery Square in Pittsburgh. 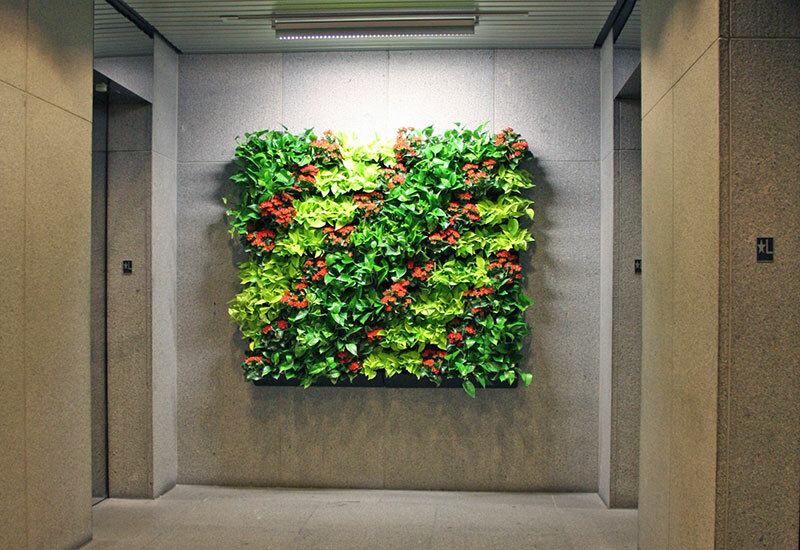 (7/30) Living green wall at Wharton Street on Pittsburgh's South Side. 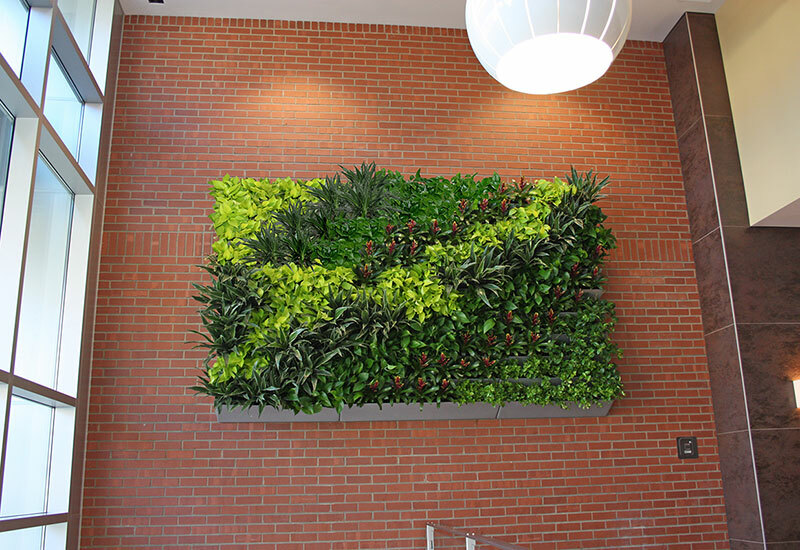 (8/30) Green wall at Chatham University's Eden Hall Campus. 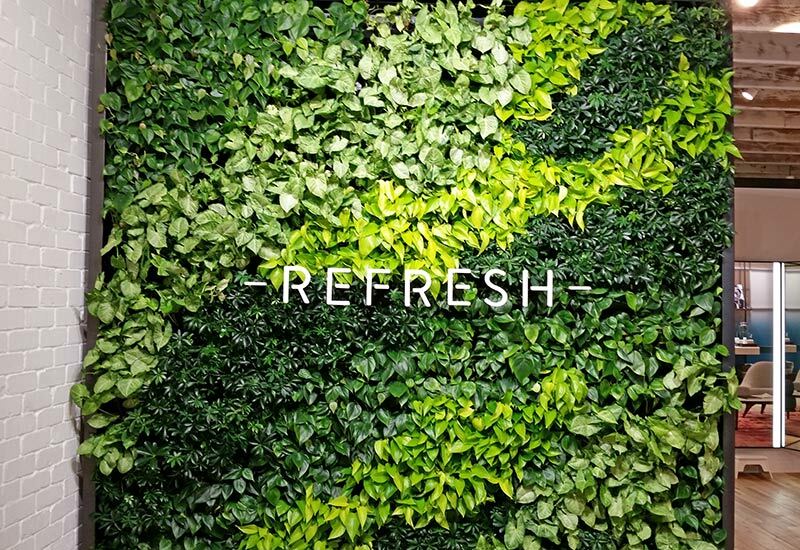 (9/30) "Refreshing" green wall at a women's athetic apparel store at Ross Park Mall. 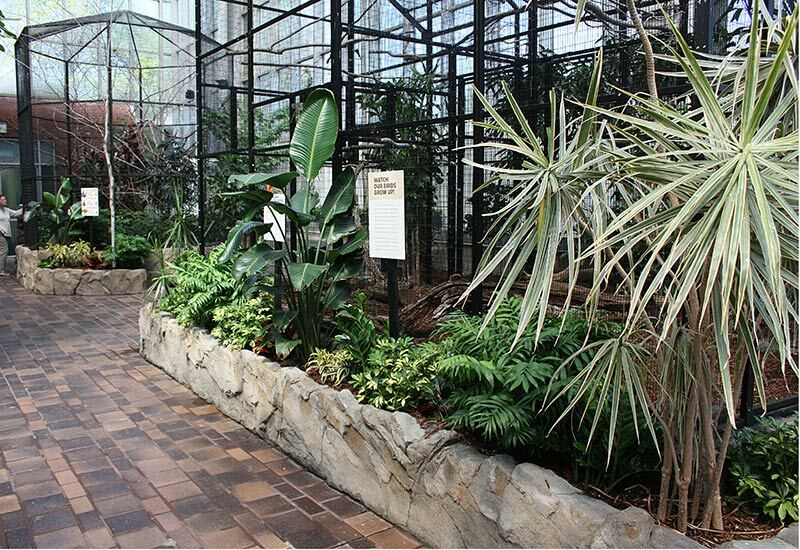 (10/30) The Wetlands exhibit at Pittsburgh's National Aviary. 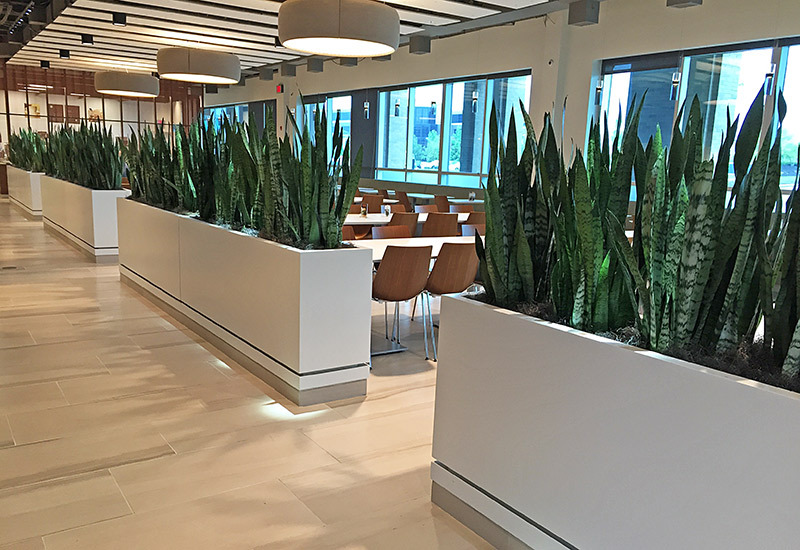 (11/30) Sleek planters with sansevieria in the dining room at Crown Castle. 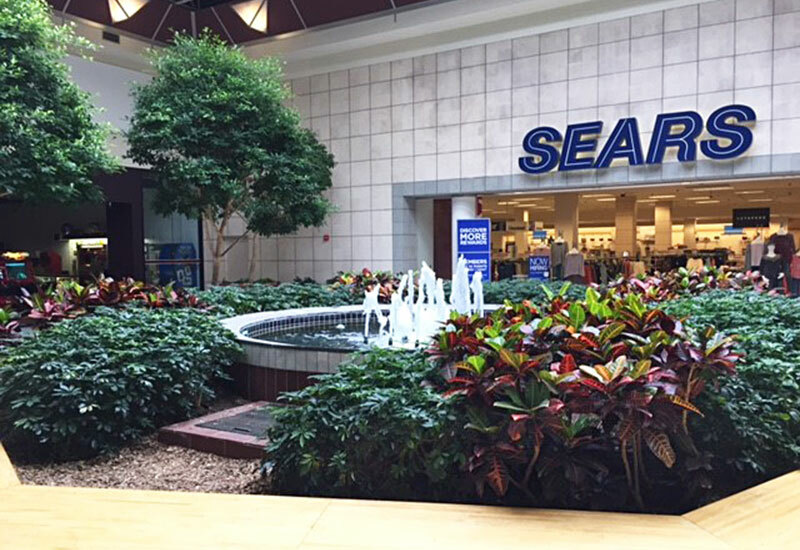 (12/30) The Galleria of Mt. Lebanon. 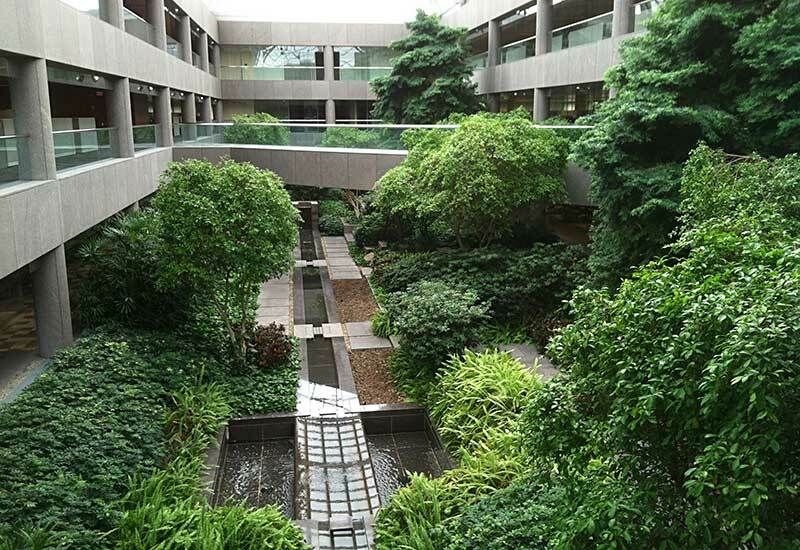 (13/30) Children's Hospital of Pittsburgh. 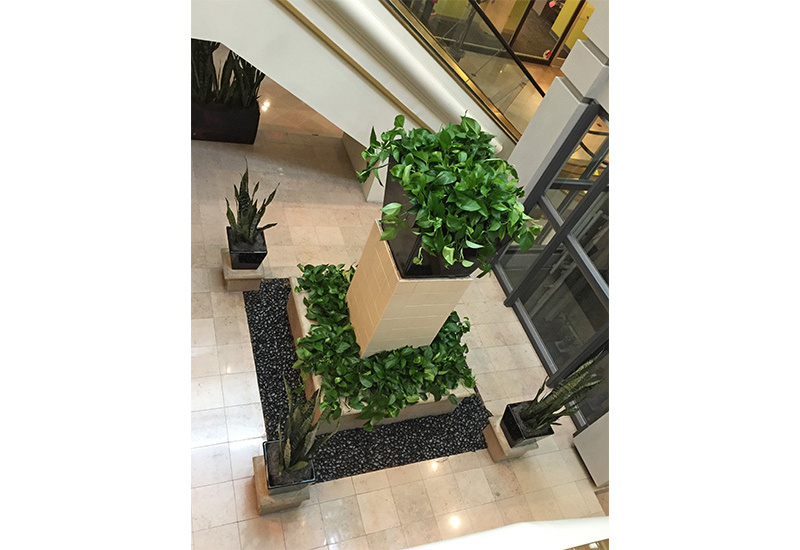 (14/30) Planter in a no-light area using artificials at Gateway Center, downtown Pittsburgh. 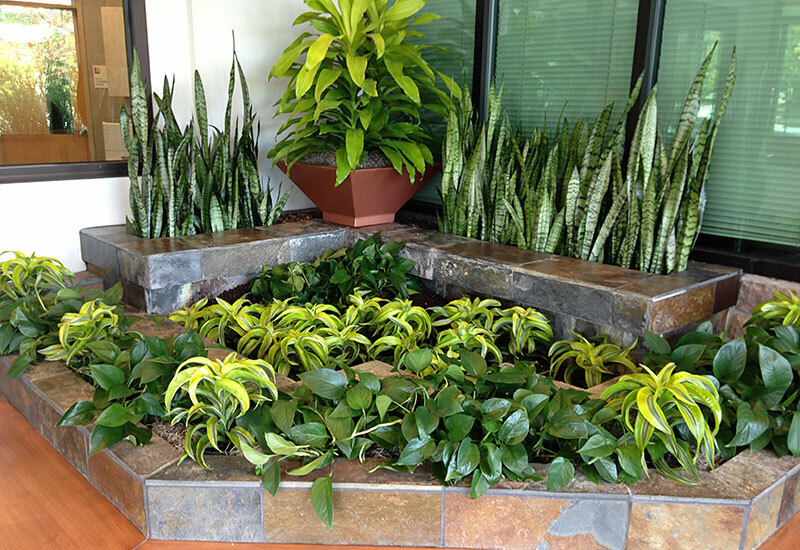 (15/30) An old fountain and pool were transformed into a lush planter in this office space lobby. 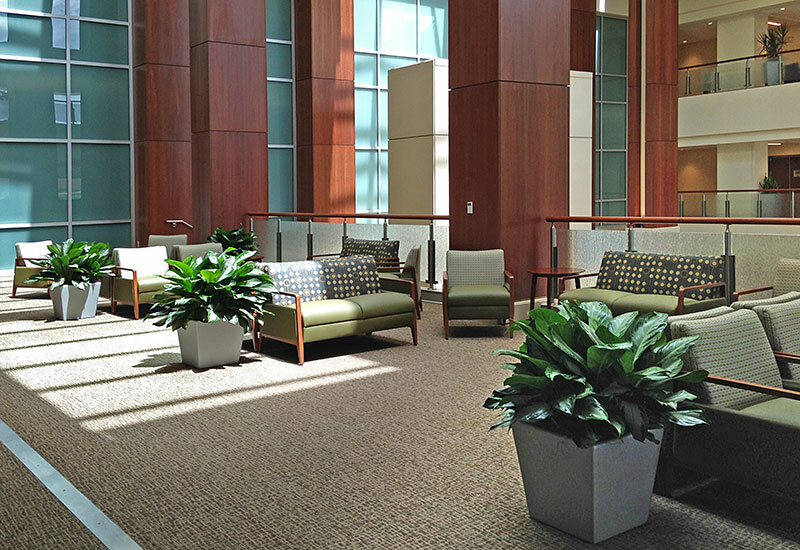 (16/30) Plants enhance the sophisticated lobby at Ruby Memorial Hospital in Morgantown. 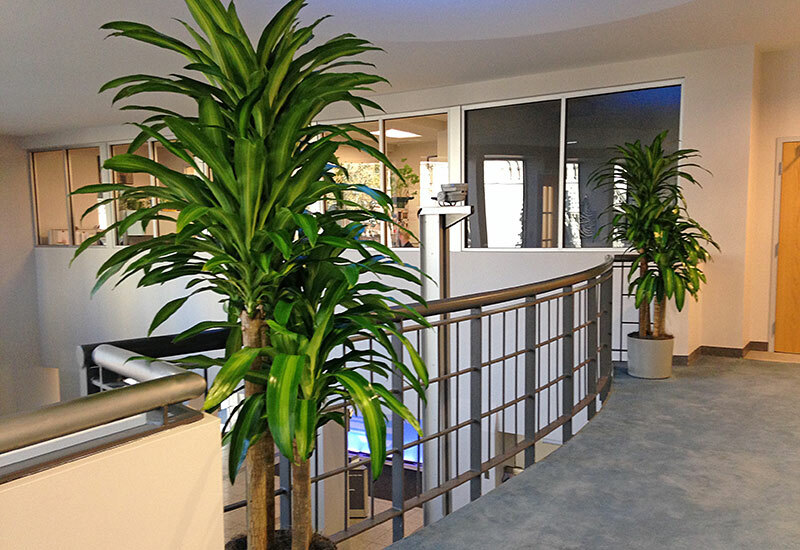 (17/30) Full lush mass canes (dracaena massangeana). 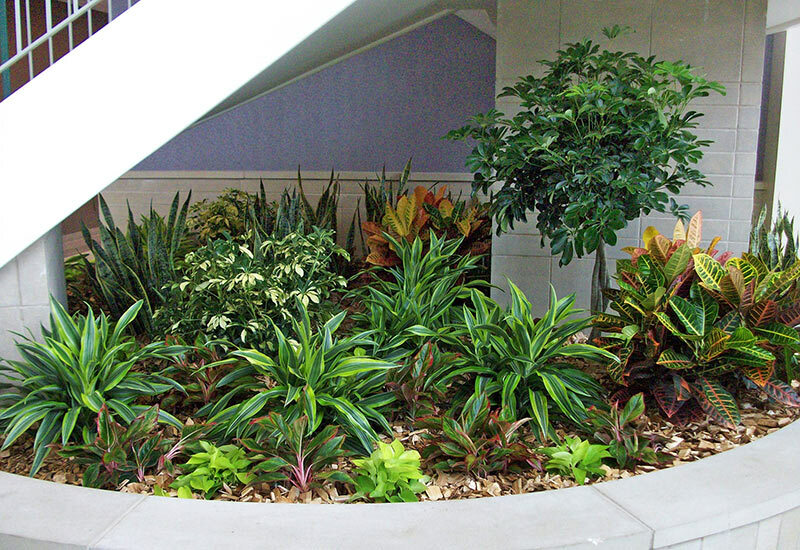 (18/30) Large built-in planter holds a large variety of plants. 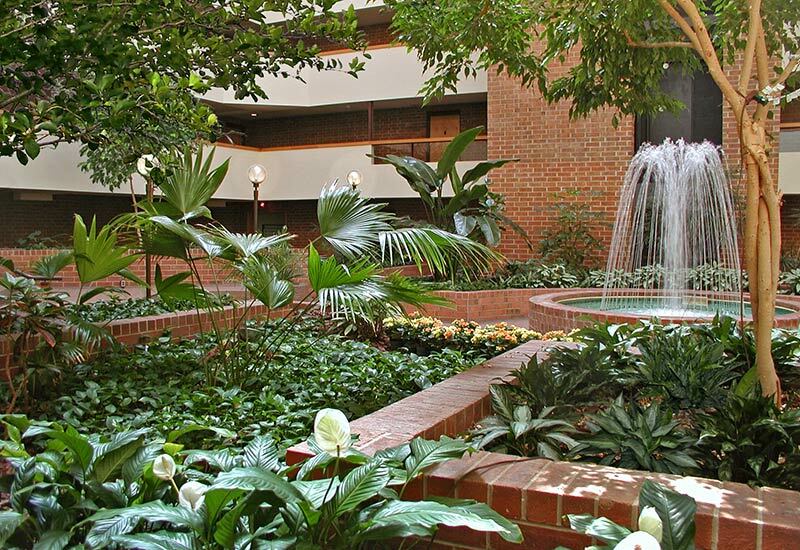 (19/30) Embassy Suites atrium, Pittsburgh airport area. 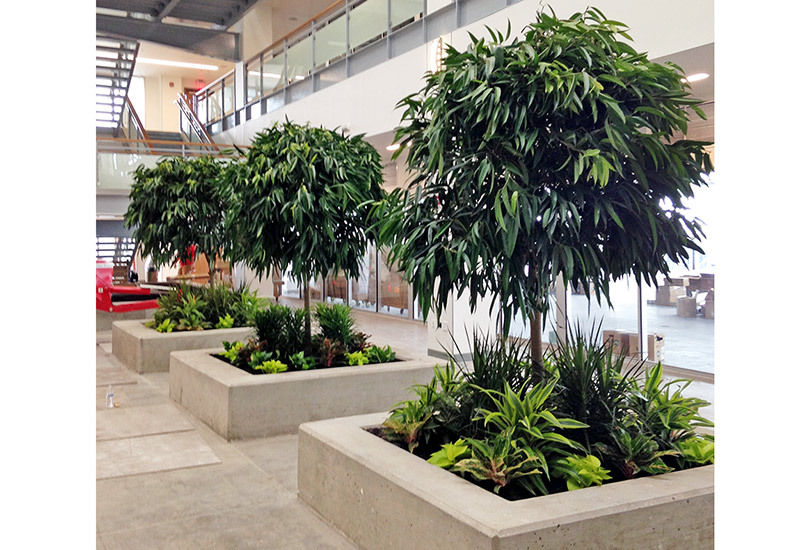 (20/30) Concrete planters with ficus alii at Industrial Scientific. 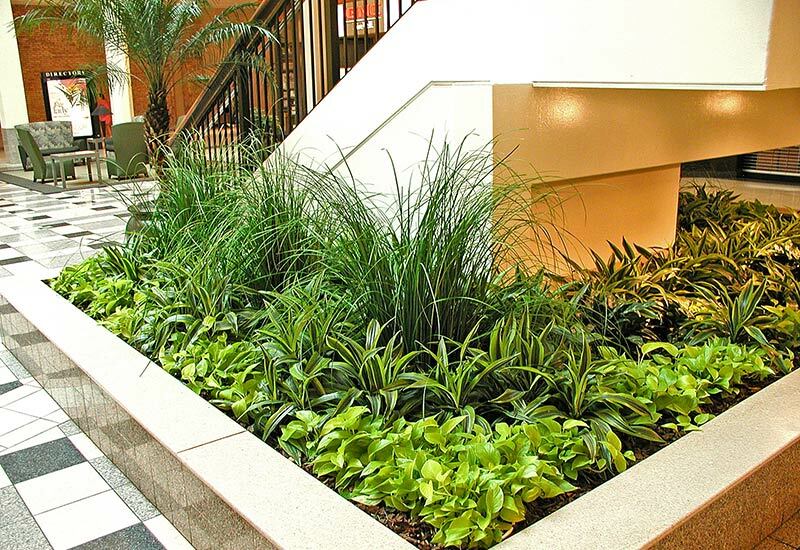 (21/30) The Atrium Condos in Shadyside have a beautiful large planting area. 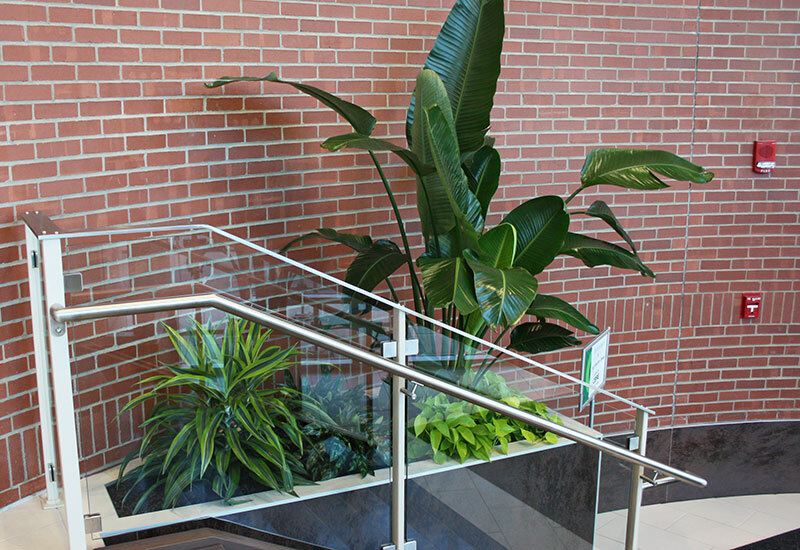 (22/30) South Hills Village, 2009. 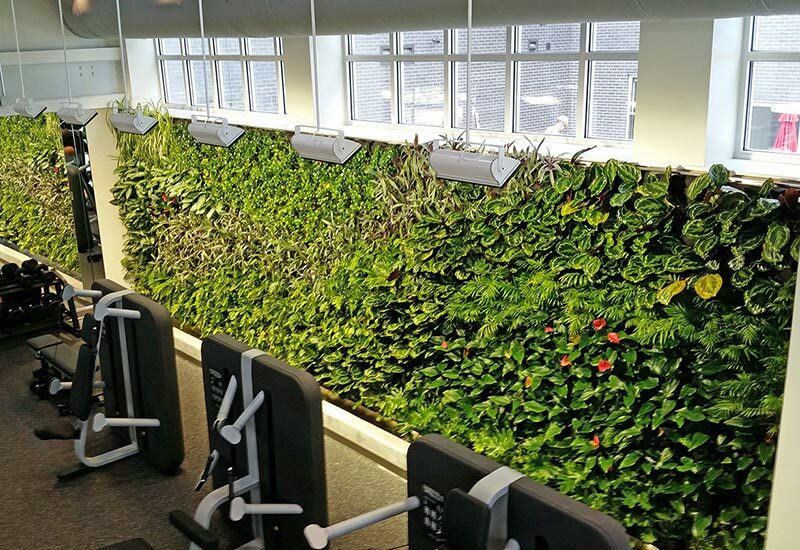 (24/30) Another giant green wall at the Bakery Square apartments fitness center in East Liberty. 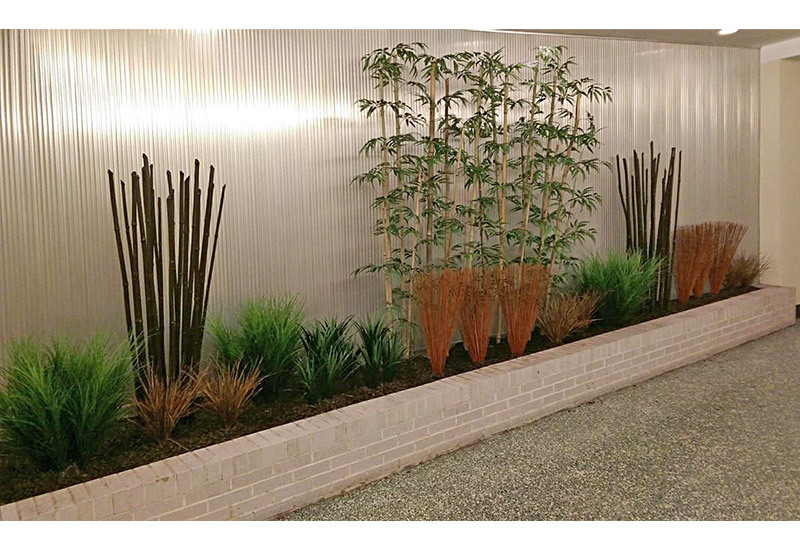 (25/30) Simple planters add so much to building lobbies as in this example on Pittsburgh's South Side. 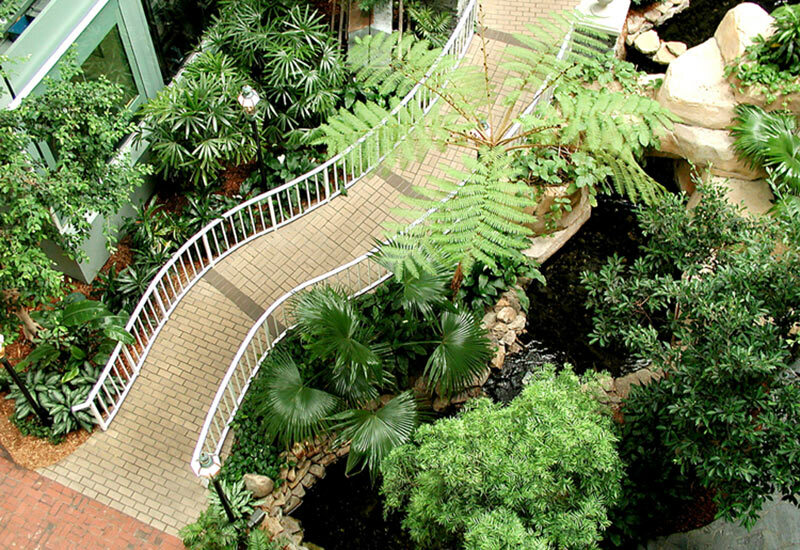 (26/30) One Oxford Center, downtown Pittsburgh. 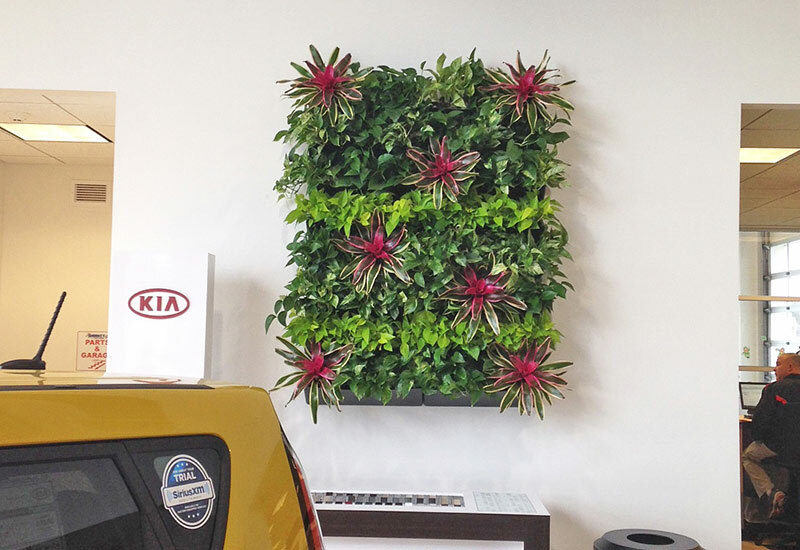 (27/30) A delightful green wall brightens up this auto dealership. 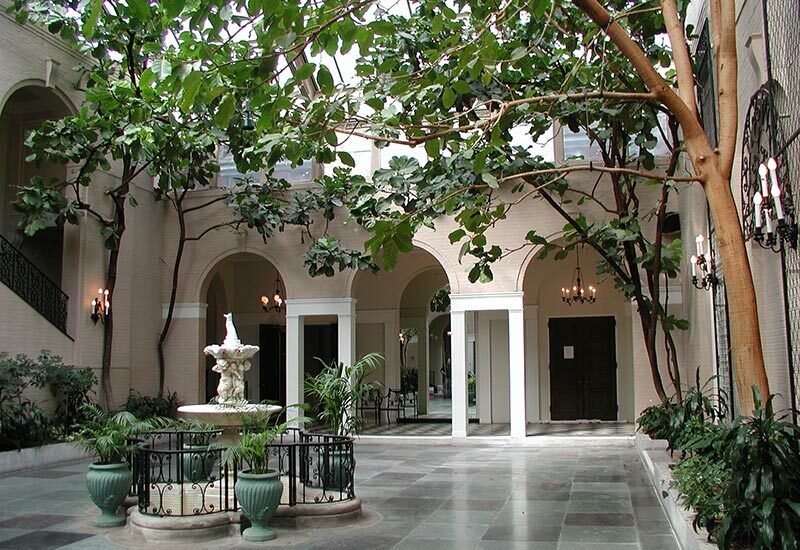 (28/30) Beautiful old ficus lyrata (fiddleleaf) trees enhance a prestigious country club. 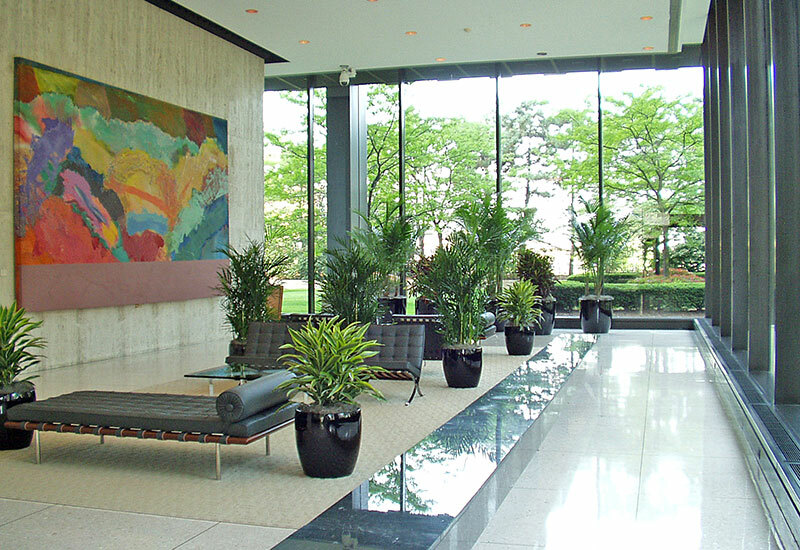 (29/30) Plants are an important part of lobby decor. 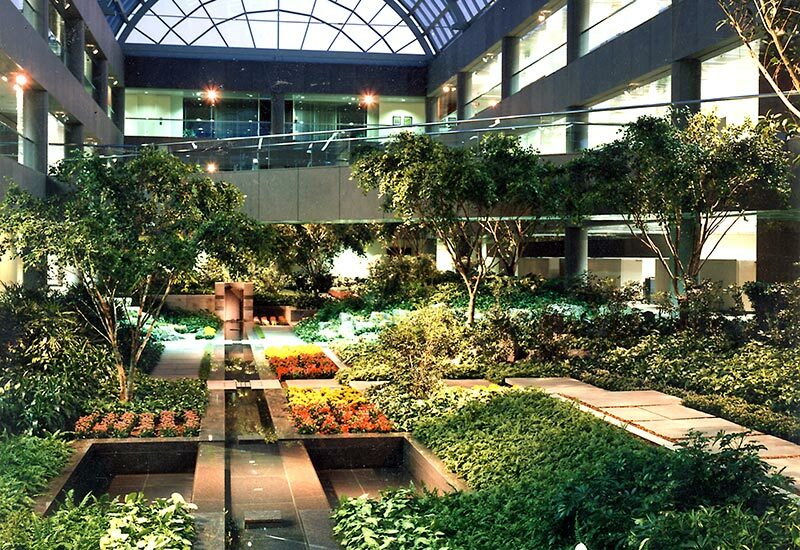 (30/30) The original "Mine Safety Appliances" atrium for which Plantscape received the National Landscape Award presented at the White House in 1990.